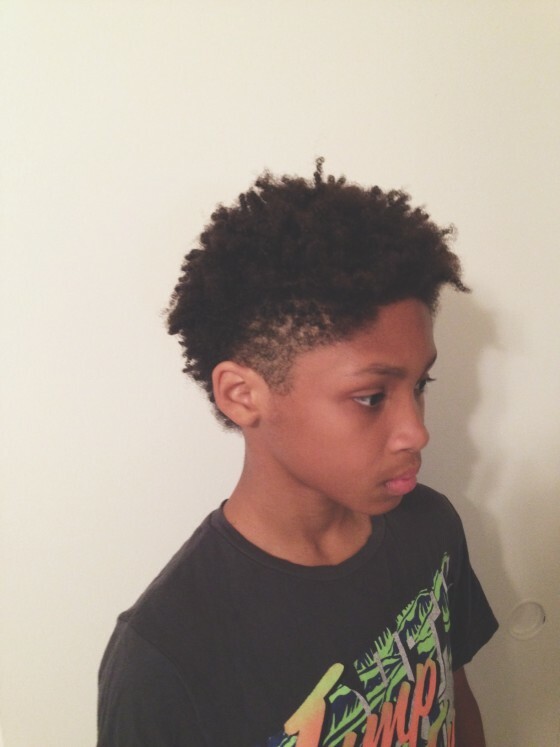 My hubby and I have been trying to persuade Jaden to get a haircut since the summer. He has had his fro since he was about 4yrs. old although I do trim a few inches off every couple of months, he refused to do something a little different. We explained to him it wouldn’t be a huge change, it would just be an update! So he finally agreed to it months later, after all that fuss…I told him it was just hair and it would grow back if he didn’t like it. Carl just shaved and faded the sides in the front, while I trimmed his hair in the back for a slight fro hawk effect. . I thought it was so cute and wanted to share his little video. My hubby did a great job :). FYI, these photos were taken before his hair was washed, so he definitely had a lot of shrinkage and cool little coils and curls of different sizes springing out after he washed it. 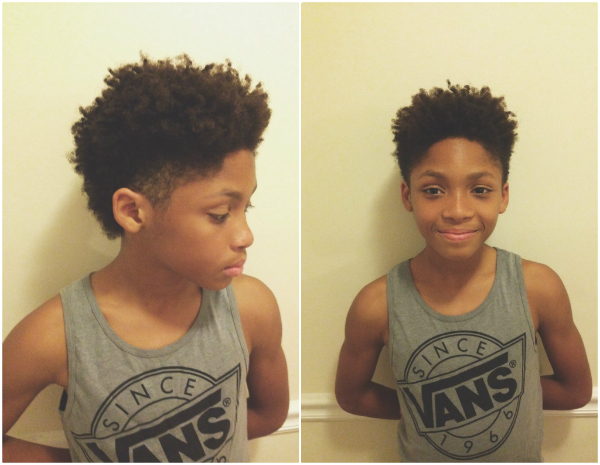 Jaden Gets a Haircut to Update His Classic Fro from Nikisha Brunson on Vimeo. « 13 Healthy Halloween Treats	» It’s Official, I’m Moving to Austin Texas! Hear What the Band Radiohead Had to Say About It! I want to cop the same haircut. Right! I was contemplating it myself I Adore Me. :). so handsome! i just love his smile! Awww… thank you so much keisha! Handsome young man! Looks really nice on him. Thank you so much Eat.Style.Play! Thank you so much Niki! He looks so handsome!!! He also is growing up!! He’s a little man!! Thank you so much Adesuwa! He is growing too fast! why did you make him change his hair? Because it’s just hair and it will grow back. I don’t want Jaden’s identity to be wrapped up in his hair. And the final result is he loves the change :). He is just too handsome to not look good either way but he rocked the heck out of that fro! Thank you so much Nekea!! !